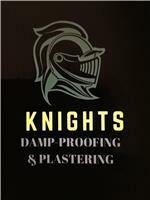 Knights Plastering & Damp-Proofing - Damp Proofer based in Ashford, Kent. Hello and welcome to the Checkatrade page of Knights Plastering & Damp-Proofing. We are a family run business with over 20 years’ experience in damp-proofing and plastering. We pride ourselves in high quality work and making sure everything is left to the customers satisfaction. We specialise in aspects of Damp, Rot and Timber treatment. Tanking basements, Floor Screeds, External Rendering, French Drains, Chemical Damp Courses, Liquid Membranes, Timber Floor Replacements. Woodworm Spraying. We undertake all aspects of general plastering. Call now for your free estimates or advice. Ashford and the whole of Kent, Surrey.